LNG - Broadview Energy Solutions B.V.	LNG - Broadview Energy Solutions B.V.
LNG is natural gas in its purified and liquefied form. In 2016 the global LNG production capacity was 340 million tons, whereas the demand in 2016 was 264 million tons, resulting in a low capacity utilization. A further 100 million tons of fuel production capacity is under construction to come on stream from 2017-2020. The capacity increase has resulted in a buyers market. Moreover, international LNG spot prices have come down as a consequence over the last few years. Natural gas consists mainly of methane (CH4) with low concentrations of other hydrocarbons (e.g. ethane, propane and butane) and inert components such as nitrogen. Please refer to the Material Safety Data Sheet (MSDS) for more details. The major advantage of LNG is its high energy density: it takes up only 1/600th the volume of natural gas. Therefore it is ideally suited for transport and storage. In effect, LNG enables cost competitive long distance transport of natural gas. The main exporters are Qatar, Australia and the USA. On the other hand, the main importers are Japan, Korea, China and Europe. The liquefied fuel is transported using large cryogenic tankers. Upon import at dedicated import terminals, the LNG is stored in large storage tanks and subsequently compressed and vaporized for injection into the gas transmission grid. 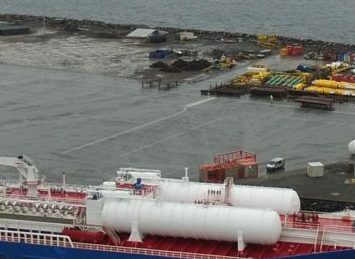 Most LNG import terminals in Europe have truck loading facilities. 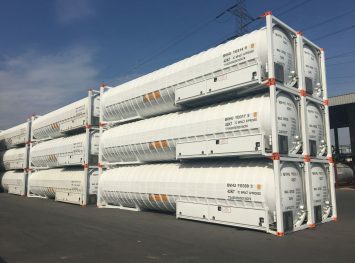 From this point it can be loaded on specialized trailers and containers for further distribution to customers that are not connected to the gas grid. The volumes that are distributed by trailers and containers are typically only a small fraction of the total LNG imports. However demand for such distributed LNG is growing fast, while the over demand for pipeline gas in Europe do not show long term growth. 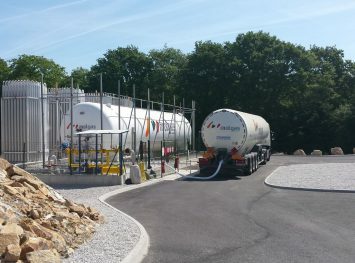 The LNG that is distributed by trailers or ISO tank containers is used in a broad array of applications. Namely, used as fuel for a broad range of applications e.g. 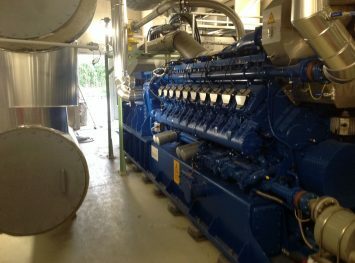 industrial processes, power plants, road transport and marine transport. LNG is natural gas in its purified and liquefied form. Although it has been around for many decades, only in the last 10yrs or so the trade of this kind of fuel has really become global and significant.